Ever wanted to make a unicorn cry? 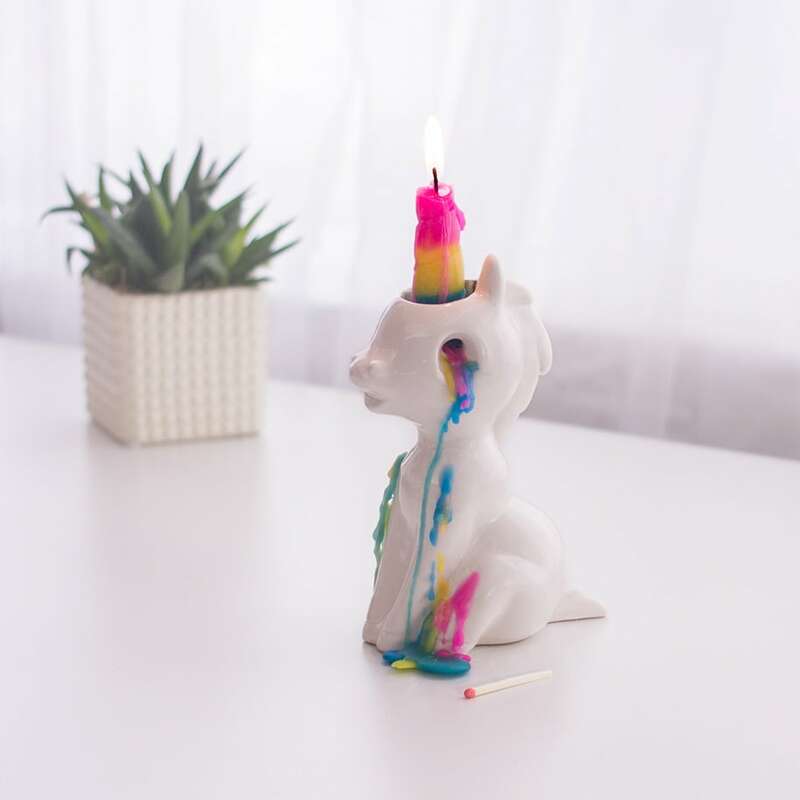 Because nothing is more enjoyable than a unicorn crying colorful tears – and this is a certain piece of unique home décor for fans of mythological steeds. 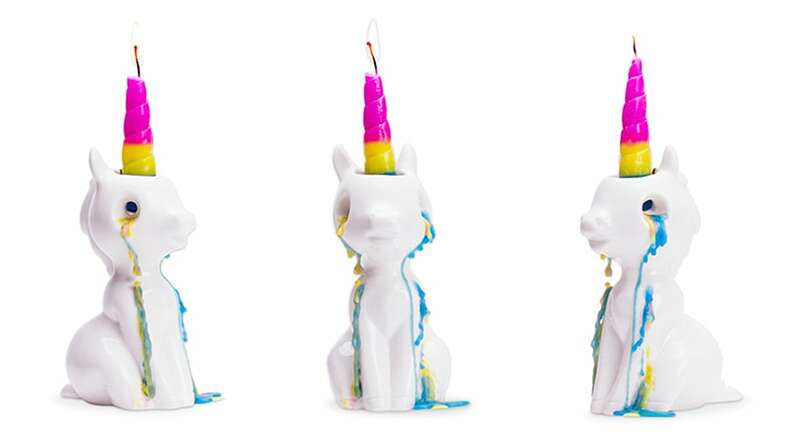 This crying candle will add some mysterious, if slightly disturbing, mood lighting to any room in your home. Just ignite the tip of its magically winding horn, and this magnificent beast fits into tears, sobbing a waxy rainbow from its two hollow eyes, leaving a trail of bright colors that will drip down its body. It’s made from clean white ceramic, and this deliberately kitschy ornament comes with two extra horns so you can make it cry all over again.